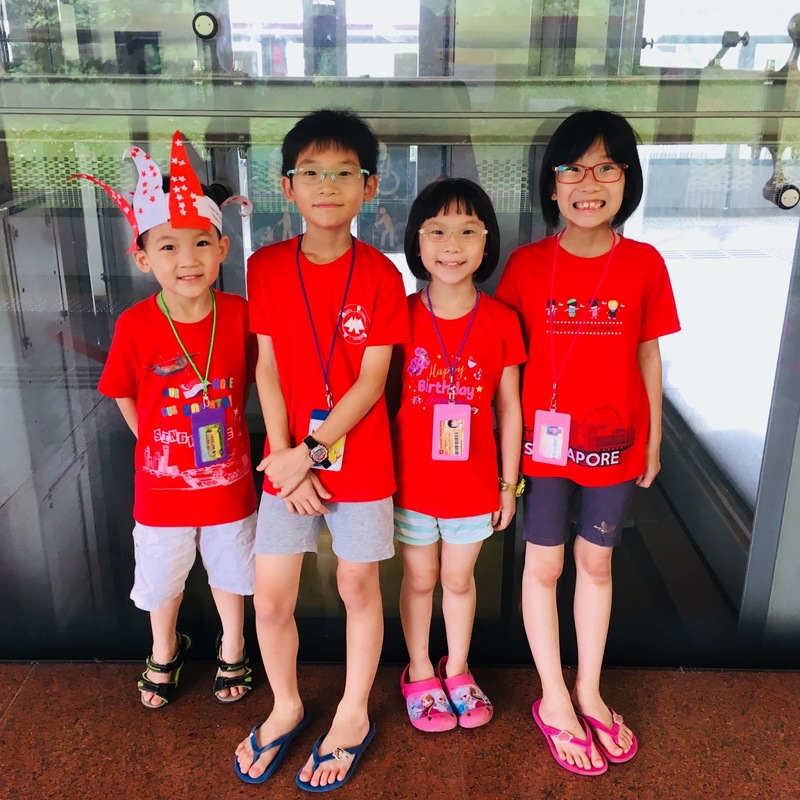 This is the first time I gave in to the children's request to buy National Day tees. I've always thought that it is quite a waste to buy something that you can only wear once a year and they outgrew their clothes so quickly when they were younger. For every year's celebration in school, I simply dressed them up in whatever random red top they happened to own at the time. Look at how happy they are to wear their new shirts! 3 years ago, we brought the kids to the Jurong East Swimming Complex for our annual National Day water fun. Back then, they were still too young to enjoy the wave pool, lazy river and the water slides. We spent all our time at the kiddy water playground and I managed to get Joram to overcome his fear of water at the small mushroom toddler wading pool. We revisited the place this year. I decided to fully experience the place with the children so there are no photos since I did not bring out my camera. Sadly, the children's water playground was no longer around and was replaced by a shallow pool with balls and nets for games which were still plenty fun for them. We also spent some time relaxing at the wave pool using the giant floats. The older two could appreciate the lazy river with me and my eldest even braved the water slides. He did not try the tallest slide though. Next time perhaps. *wink* My elder girl also wanted to learn how to use the kick-board like her older brother so I took half an hour giving her pointers. After a full 4 hours of great splashing time, we left for home to wash up. I am so happy that there is finally a company (Honest Bee) which can deliver food from our favourite restaurant Mos Burger now. We could savour the rice burgers we love so much in the comforts of our home for lunch. Dinner, as per our tradition, was pizza eaten while watching the National Day Parade. Joram was so excited to, once again, see from our balcony the aircrafts flying by and the fireworks in a distance! We ended the day with a prayer for our beloved nation and it was nighty-night for everyone.